This recipe makes a generous amount, and there are almost always leftovers. 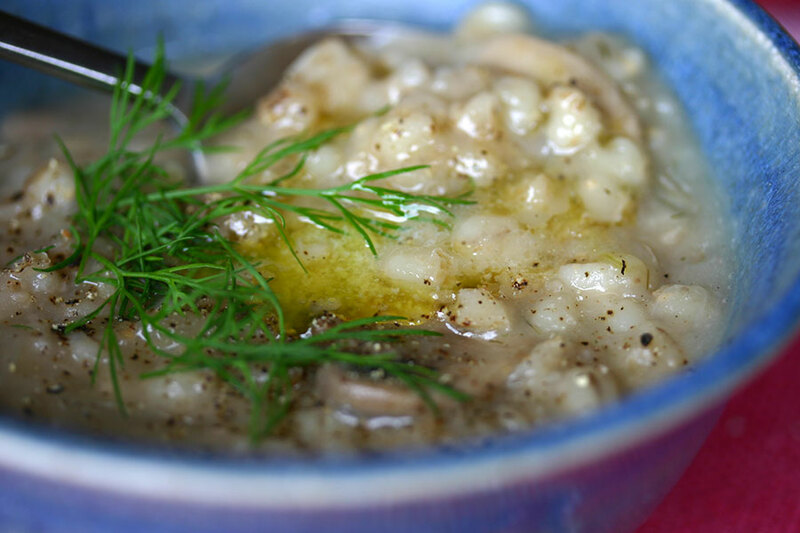 When it comes time to reheat it, you’ll find that the barley will have absorbed all the liquid. You’ll need to add water, stretching the recipe still further. Heat the oil in a soup pot over a medium flame. Sauté the onion and celery until softened. Add the mushrooms and sauté for five more minutes. Now add the barley and cook for a few minutes before adding the water and bay leaf. Bring to boil then reduce to a simmer. Cook covered, stirring occasionally, for about an hour (or until the barley is tender). Stir the dill into to the soup, then season to taste with salt and pepper. Thank you — I’m a big fan of dill as well, fresh or dried!